Ivy (Hedera species) is a family of climbing or creeping vines. Some, like English ivy, are sometimes considered a nuisance. Others are carefully cultivated in home gardens. The vines can be deciduous or evergreen, solid-colored or variegated. While the growth of each type of ivy differs slightly by species and cultivar, they all have the same basic culture needs. Ivies grow at different rates and to different sizes. All grow rather quickly: up to a foot a year. Some, such as English ivy, can climb over 50 feet high. When used as ground cover, ivy usually only grows about 8 inches tall, but can spread unchecked if not pruned back each year. For this reason, it is often planted for erosion control, along hillsides and banks. Ivies in general grow best in temperate climates with cool winters and mild summer. These vines thrive in United States Department of Agriculture (USDA) Plant Hardiness Zones 4 through 8, according to the University of Florida. They do not fare very well in the South or other areas where the heat and light is intense. Ivy grows best in shaded locations. This plant makes an excellent ground cover for that reason and is often found growing under trees. It prefers moist, cool soil that is rich in nutrients. 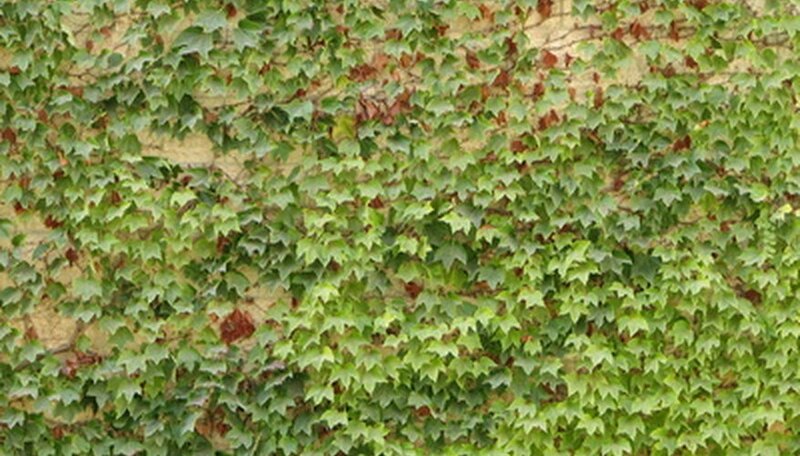 Ivy can grow up trees, masonry and other structures. Some types of ivy (English ivy in particular) can even grow over and smother desirable plants, according to the Plant Conservation Alliance Alien Plant Working Group, so home gardeners who want to control it should prune it vigorously each spring. Ivy makes an excellent indoor foliage plant, according to the University of Florida. The vine should be planted in water-retaining potting soil, such as soil mixed with peat. Place potted ivy plants in bright but filtered light, such as light filtered by a curtain, or indirect light. Direct sunlight can scorch the leaves. Fertilize every other month with a balanced fertilizer (20-20-20) formulated for indoor foliage plants. Apply according to the directions on the label for the size and age of your plant. Problems can slow the growth of ivy. Under-watering can cause the plant to wilt, as can too much sunlight. Common insect pests such as aphids, spider mites and mealy bugs can infest the vine, causing the leaves to brown or curl. Rinse away minor infestations with a strong stream of water. Use an insecticide for more severe infestations.